Vlad believes in treating the patient as a whole, and facilitating the body’s capacity to heal itself. 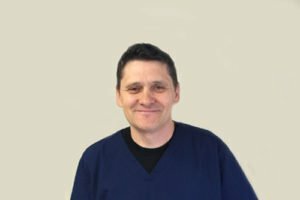 Vlad has 20 years of experience as a Medical Doctor in Europe. During his career, he realized that a person cannot be healthy by relying on medication. He gained his postgraduate MD in Acupuncture at the Belarus Academy. He continued to study Acupuncture at the Canadian Academy to become a Registered Acupuncturist. Vlad combines his background in medicine and acupuncture to create unique treatment plans for his patients. He helps manage pain, treat chronic diseases, and cosmetics. Vlad is also skilled in osteopathy, a form of manual therapy that manipulates and massages muscles, joints, and bones. It helps balance the body and removes any restrictions in the circulatory, nervous, and lymphatic systems. This facilitates the body’s ability to heal itself. Osteopathy is covered under most insurance and benefit plans.